I still remember my first driving days. It was horrible. I was scared and confused and I had no idea who to listen to. Because in a family with two or three male drivers you know that you will be forced to learn from each. Everyone’s an expert when it comes to giving advice. I’ve heard so many versions and myths of how to drive correctly, how to save gas and how to drive during winter/summer that I could write a book. I’m sure you also heard lots of popular myths about fuel economy, for example. I gathered 5 of the most popular ones and put them in a small list. Here you have them! 1. 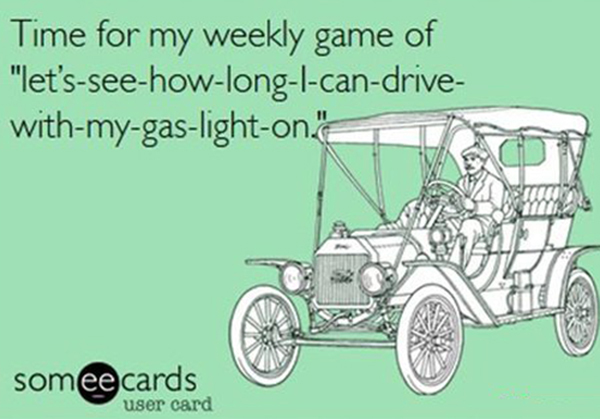 You have to drive a small car to get the best fuel efficiency. Once again, car manufacturers make us believe that size matters. Or it used to matter since the advanced technologies available on the market allow even standard-sized vehicles (even large cars and wagons) to obtain good results in terms of fuel efficiency. In this category, we can include the diesel engines, the hybrid drivetrains, the advanced transmissions or the aerodynamic designs. 2. Manual transmission is better than automatic. The year is 2015 and the innovations that have been developed regarding the automatic transmission can make the latter one a worthy example of efficiency and fuel economy. If you are interested in purchasing a vehicle you can always compare the fuel economy first. 3. Keep the tank half full. Lots of drivers believe that keeping the tank half full prevents the complete evaporation inside the tank. However, we should remember that vehicles are constructed to maintain the fuel vapors inside the tank so that they can be burnt by the engine. This myth was applicable a few years back, but it’s not the case anymore. 4. Fuel economy decreases with age. No, I’m not talking about your age, but the age of the vehicle. This myth remains a myth because fuel economy can be sustained if you maintain your vehicle the way God intended. After many tests conducted by the EPA, the results showed that the fuel efficiency of a car increases in the first years of usage. And in 10-15 years, the fuel economy is barely affected if the cars are maintained properly. 5. Ignore tire pressure. The first thing they teach you after you get your license is to check the car thoroughly before leaving home. This means checking the mirrors, the oil and the pressure of the tires. If something is wrong, it’s better to ask someone to fix the problem (or fix it yourself). It’s important to do this because the under-inflated tires can decrease fuel economy and can cause premature wear. By keeping the tires inflated correctly you can improve fuel economy by 3%. It is easy to accept advice from drivers and specialists. But it is also important to adapt these tips to your driving style and test them yourself. You never know what works for you until you try it!